Having spent over 25 years within the landscape industry creating and delivering landscape schemes from historic gardens through to urban business parks senior partner Simon Brokenbrow established Viewpoint Associates in 1996. 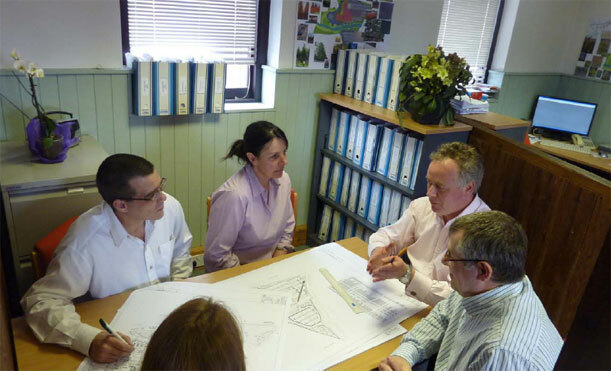 We are a young, vibrant and friendly practice with a dedicated team with a singular interest & purpose – the creation of inspirational, quality and sustainable landscapes for both commercial and private clients. Our office is a studio that provides an open environment which allows for a free exchange of ideas and where innovation is not restrained by a management hierarchy – we are very much a team that concentrates our exceptional abilities in the design and advancement of contemporary landscapes. Quality is a byword for us, we ensure that quality systems run through the office, our procedures and the service we deliver to our clients. Based outside the market town of Horsham in West Sussex we are well placed for both mainline rail & road networks and work for clients both regionally and nationwide.